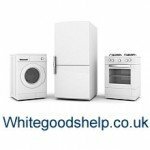 A collection of articles and resources useful to anyone thinking of buying a new appliance covering many different concerns. Is a more expensive washing machine a better one? Are new washing machines made as well as they used to be? Which is the best washing machine to buy? Should I buy an appliance extended warranty? Is buying an extended warranty on a new appliance worth it? I never take out any extended warranties myself because I prefer to look at the bigger picture. Over a lifetime of owning all my appliances and devices it’s pretty near certain that I will pay out far less if I just pay for repairs.